The Featured Artists Program features Philadelphia regional visual artists that have distinguished themselves by having been exhibited or being scheduled to exhibit at a museum. Additionally visual artists whose work is distinguished by some unique feature, for example, public art, or art that contributes to social change. Other accomplishments that distinguish an artist from the norm will also be considered. The videos along with information about the artist will be accessible to the public on the SAI website. 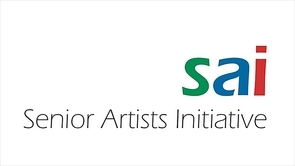 Any visual artist wishing to apply to be a Featured Artist should prepare a brief statement of qualifications and email it to SAI along with a link to online examples of their art. Please use this Contact Link to introduce yourself. We will begin videotaping the first two artists selected for the Program in late spring. The artists are Diane Pieri and Diane Levell. Diane Peiri has had more than 250 solo and group exhibitions over the past 50 years. She has received fellowships and grants from many prestigious organizations and has been a teaching artists at the Philadelphia Museum of Art for twenty-one years. In 2006 Pieri’s public art project, Manayunk Stoops: Heart and Home, a series of 9 seating elements fabricated in Italian tesserae, was installed along the Manayunk towpath through the Association for Public Art’s New Land Marks Program. Since 2001 Pieri has completed 12 murals with Philadelphia’s Mural Arts Program., 7 murals in an elementary school in College Station, Texas. In 2005 Pieri founded the Cooke Museum of Art, modeled after the Philadelphia Museum of Art, at the Jay Cooke Elementary School in North Philadelphia. Diane currently resides in Philadelphia, and SAI is pleased to welcome her as the first artist of the SAI Featured Artists Program. Diane Levell’s work in photography has been exhibited in museums in the United States, including the Michener Art Museum, the Corcoran Gallery of Art, and the Cambridge Arts Society. Levell extends the boundaries of photography and challenges viewers to look for a transformation of matter in her art. Residing in Bucks County, PA Levell focuses on the beauty of the region. By presenting her images on rice paper with her precise melding of color and tone, she turns picturesque Bucks County throughout the seasons into fine art. Diane’s art is currently being exhibited at the James A. Michener Art Museum in Doylestown, PA. information about the exhibit can ne found in the Exhibits & Events section of the website.